I LOVE pinterest, no proper love it, I mean. I could spend hours on there, and sometimes its the last thing I look at before I go to bed – but don’t tell anybody, purlease…. 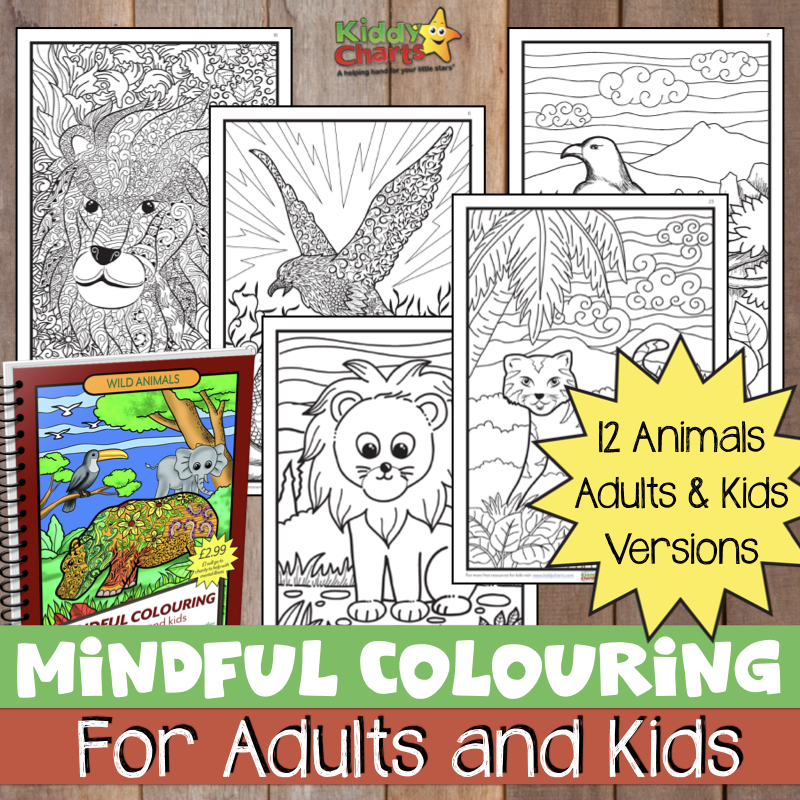 Visit Helen Neale – see me at kiddycharts.com’s profile on Pinterest. Follow Helen Neale – see me at kiddycharts.com’s board Parenting Tips on Pinterest. I am really just doing research for work, right? Pinterest has some wonderful bloggers sharing their unique work; US, UK, Oz, from anywhere and everywhere – that’s the beauty of the inspiration you find on the site – it doesn’t matter where it starts, it can end up anywhere! I have been digging about looking for UK parent bloggers recently though, people on my doorstep whose posts and pins really allow us all to use Pinterest for what it was intended, as a place to inspire and inform. But who do I love following in the UK the most? 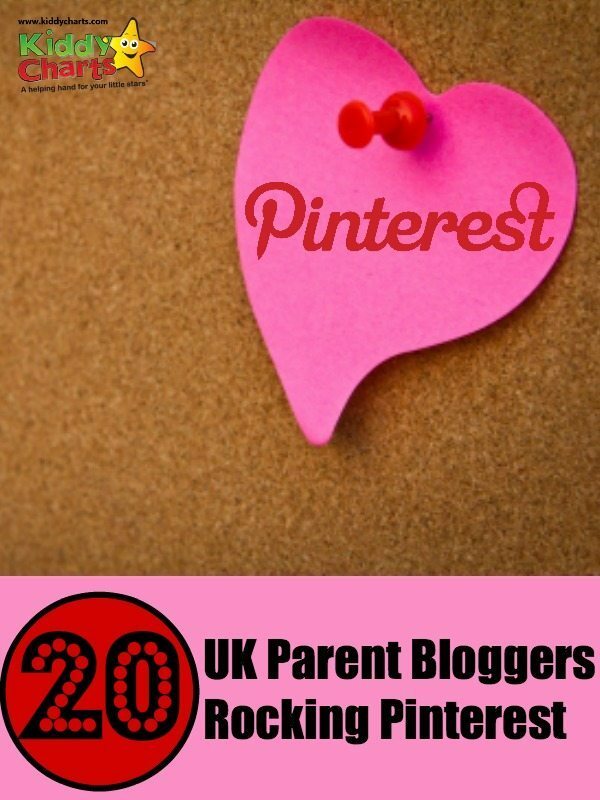 Here are my top twenty parent bloggers on Pinterest. These are in alphabetical order, as long as I got it right of course. I can always guarantee that what they pin will keep me and the kids entertained, or help me with my latest kid related question. Why not check them out too? If you are looking for food inspiration then Hungry Sauce and Katie’s feed is the right place to be. Alongside great seasonal food ideas, and cooking with kids tips, she also have some exciting activities to choose from too. Take a look. Visit Kathie Auton’s profile on Pinterest. Kat is a new addition to my Pinterest potterings; she has a great mix of activities and advice for mums and dads. Something for everyone, but with a key theme of inspiring creativity. Do check out her blog too..
Visit [email protected]’s profile on Pinterest. Kelly Innes is a lovely lady, whom also happens to have wonderful style, as well as some dam good ideas from crafts to cooking. She often makes me feel rather inadequate, but then I realise that actually I CAN do it, if I follow the simple instructions on her blog. Go check out her profile, for some inspirational projects in particular. Visit Domestic Goddesque’s profile on Pinterest. The Here Come the Girls blog is a haven for creativity, from Playmobil to Frozen themes, you name it, she has done it, or might be doing it next week. I can’t imagine her kids having anything else but a ball with the ideas she has from Pinterest and on her own blog. Visit Rebecca English’s profile on Pinterest. Anna from The Imagination Tree loves play, and that is exactly what her Pinterest gives you, ideas and amazing inspiration for learning through play with your young kids. I am sure that it would have been amazing to be a wee child in Anna’s class. Visit Anna @ The Imagination Tree’s profile on Pinterest. Diane is a woman after my own heart as she is awesome with printables – some great ones on her blog, as well as in the Pinterest account, alongside other wonderful ideas for little hands and minds. Visit Dip Into The Imagination Box’s profile on Pinterest. Anna from the In the Playroom blog has a wonderfully diverse Pinterest feed, from parenting ideas to great activities and crafts for the kids. I often wonder how she manages to fit it all in, but I am very glad she does. My kids lives are richer for it! Visit Anna – In The Playroom’s profile on Pinterest. I am a big fan of The Gingerbread House, Jenny’s blog. Her Pinterest profile reflects her creative process and her flair in the kitchen, with some wonderful crafting and cooking ideas for the children. I am not jealous of these capabilities, I swear…. Visit Jenny Makes’s profile on Pinterest. Jen from Mum in the Madhouse has a lovely Pinterest account, easy to navigate and no nonsense, much as her wonderful blog. There is insporation for your seasonal projects as well as some great thoughts on managing those parenting challenges. Well worth checking her out. We all love a good list, right? Lucy and Alice over on Mums make Lists know how to create some great ones, and they also have some stonking parenting advice for you as well. Go visit and find out how to manage the after school blues, and much more. Visit Mums make lists …’s profile on Pinterest. Sara does exactly what she say on the tin – she pins anything that’s relevant to encouraging your little ones to explore their musical sides, and beyond. The blog is a celebration of all things musical and her Pinterest account is just the same. Go along and give her a song too, why don’t you? Visit Sara @ Let’s Play Music’s profile on Pinterest. Emma’s pinterst account is focused on providing great craft ideas both from her blog, and around the t’interweb covering anything from painting, puppetry, and baby and toddler general play. Some wonderful ideas and take aways on here. Visit My Little 3 and Me’s profile on Pinterest. Another great play and learning focused page for younger children, with a free play planner included on the blog as well; you won’t be stuck for ideas again. Visit Cathy James www.nurturestore.co.uk’s profile on Pinterest. Adele’s blog, and this account, is focused on developing your kids through their play. There are great ideas from craft, science and everything else in between. Visit Adele Crozier’s profile on Pinterest. Visit Rainy Day Mum’s profile on Pinterest. Maggy’s crafts are simply awesome, but critically easy to do, from loo rolls to conkers then there is something for everyone in her Pinterest account, and on the Red Ted Art blog. Visit Red Ted Art’s profile on Pinterest. This blog used to have a great linky every week for good parenting posts from around the blogosphere, with other hosts and the Pinterest account has captured these, and other relevant crafts and activities for the kids. well worth a gander. Visit Taming The Goblin’s profile on Pinterest. There is a green, and thrifty feel to the pins over on Thinly Spread‘s Pinterest board; keeping it thrifty and simple is great advice for any parent. Thinly spread helps you know where to start, and gives you much more too. Visit Thinly Spread’s profile on Pinterest. Visit Emma Vanstone’s profile on Pinterest. That’s nineteen I will grant you, but if you count little old me, then that’s twenty! Just in case you were wondering, there are Dads out there that are rocking Pinterest too in the UK, I just didn’t follow them until I wrote this article. Therefore, I felt I shouldn’t include them this time around, but perhaps next time. However, do go check out Skint Dad and One Dad Three Girls for some more parent blogging Pinterest inspiration.